Built in 2009, by the Honolulu Marine Company of Honolulu, Hawaii (hull #80178) as the Tiger 9 for the P and R Water Taxi Company of of Honolulu, Hawaii. 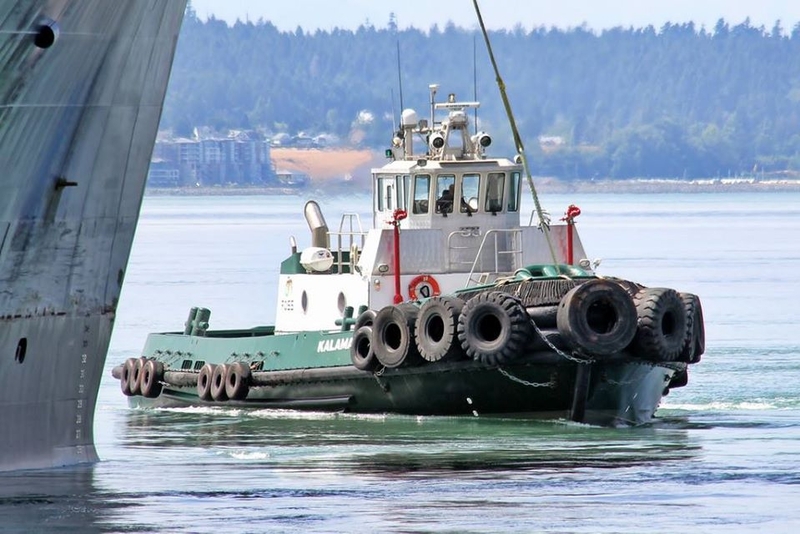 In 2013, the tug was chartered to Foss Marine Holdings of Seattle, Washington. Where the tug retained her name. In 2014, Foss Marine Holdings renamed the tug as the Kalama. Powered by two, Caterpillar 3516 diesel engines. With Thrustmaster z drives, outfitted with 86(in), bronze propellers. For a rated 4,400 horsepower. Her electrical service is provided by two, 65kW, non parallel, John Deere 4045 generator sets. The tug's capacities are 9,500 gallons of fuel, and 800 gallons of water. The tug is outfitted with two, 3,000 gallon per minute, Aurora fire pumps. Driving two, 02 deck mounted, Elkhart fire monitors.